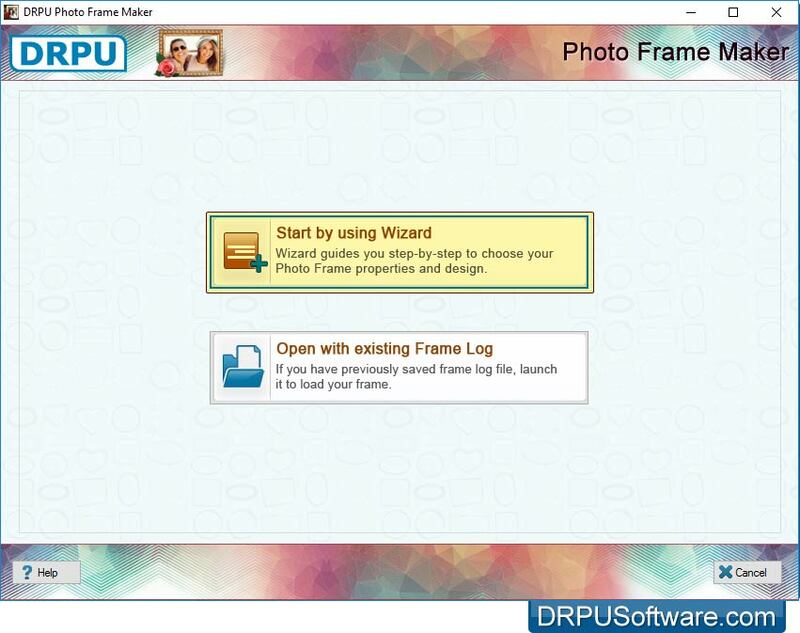 Add beautiful photo frames to your pictures for free at DRPU Software! Photo frame maker can help you add picture frames to beautify your photos. Download 'All In One Photo Frame Maker' to apply any type of Photo Frame such as Birthday, Friendship, Romantic & Love, kids photo frame and many others on your photos. 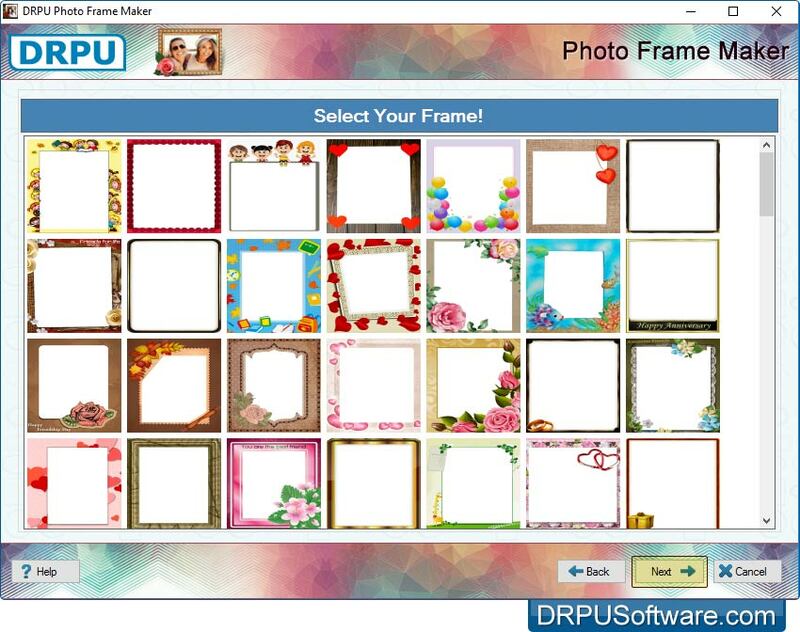 Choose photo from Album and select a frame and create your photo frames. You can email your designed photo with frame via email using inbuilt Email settings option. You can easily print it using advanced print settings option. You can capture photo using inbuilt camera in app or you can also browse the path of that image. 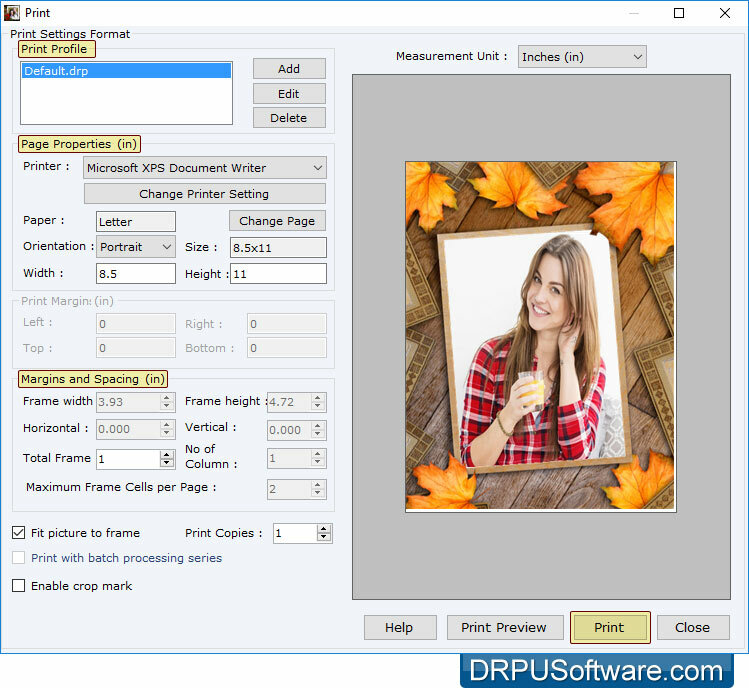 Save your created photo with frame in various file formats including JPEG, PNG, TIFF, Bitmap, GIF and PDF. Software has advanced Email Setting feature to send photo with frame at specified email address. 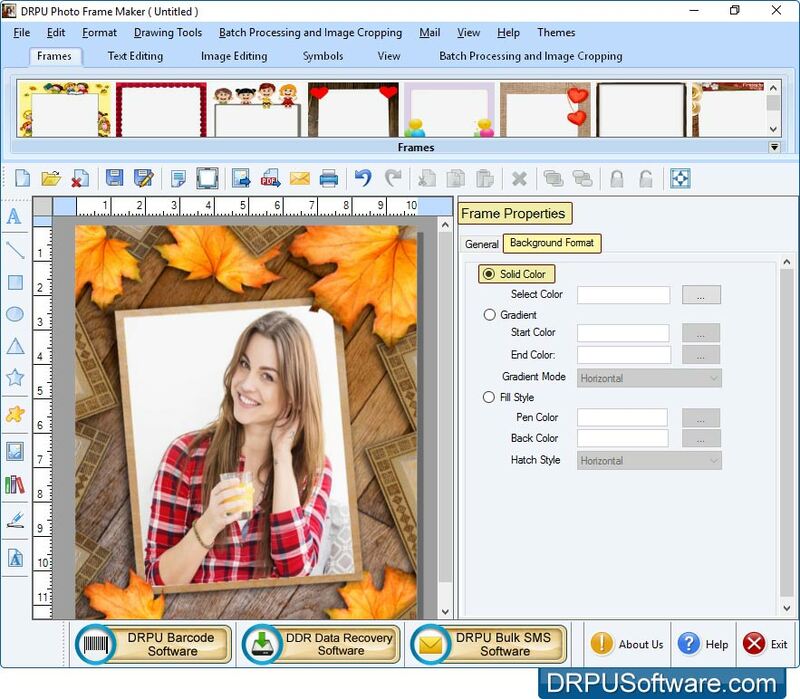 Add multiple frames on your photo with different images and text using Batch Processing Series option. Facility to print photo with frame using print setting option with support to all major types of printers. Here, you can adjust frame settings like frame background settings solid color, gradient color, transparency etc.